Vertex Pharmaceuticals' new $200,000-a-year cystic fibrosis drug could help 90 percent of patients breathe. It's an amazing—and profitable—innovation. But will that windfall spur the 28-year-old startup to do it again? Technically, Mark Sleeper doesn’t know for sure he didn’t get the placebo, but nothing in his 27 years of fighting the deadly lung disease cystic fibrosis (CF)has made him feel as good as the pill he recently took in a clinical trial. “It was kind of mind-blowing,” he says. The energy he usually spent coughing and simply breathing was suddenly available for use in daily living. At first, he stayed up for two days. After 15 days on the treatment, his lung capacity, measured by the amount of air he can breathe out in a second, went from 70 percent of normal for a man his age to normal. “With what I experienced, I want the drug to be approved, because it was pretty radical,” he says. Study results released in July for three different but similar drug combinations, all developed by Boston’s Vertex Pharmaceuticals, back up Sleeper’s experience, showing the amount of air patients could exhale in a second increased by ten percentage points or more—an unheard-of amount. There’s only one precedent for results like this in CF: Another Vertex drug, Kalydeco, approved for use in 6 percent of the 30,000 Americans with the disorder. The new combinations could bring a similar benefit to almost all cystic fibrosis patients. Longer studies will be needed, but Leiden isn’t alone in his excitement. “This is what we dreamed would someday happen,” says Francis Collins, who led the team that discovered the CF gene 28 years ago and is now the director of the National Institutes of Health. Investors are gushing too: Vertex shares are up 106 percent since the beginning of the year, giving the company a $38 billion market capitalisation. Analysts now forecast that Vertex’s sales, which were $1.7 billion last year because of existing cystic fibrosis drugs, will triple by 2021 and could eventually top $7 billion. Largely as a result of this single breakthrough, Vertex ranks No 17 on our list of the World’s Most Innovative Companies. Leiden is doing fine too. Since 2012, his total compensation has reached $111 million. ‘If they make money, they make better drugs’ is the assumption that underlies our entire patent system: Let innovators reap windfall profits as a reward for years of research. The existence of the pharmaceutical industry—and of a constant stream of new medicines—is evidence that the rewards work. But does inventing one breakthrough drug increase the odds of finding another? The evidence is mixed at best. In 1996, Pfizer launched Lipitor, soon to become the world’s bestselling drug. Over the next dec­ade, Pfizer spent more on research and development than any other drug company but launched only a single medicine that broke the $1 billion-a-year barrier. Other companies have swung from success to success: Merck with heart medicines in the 1990s, Genentech with cancer drugs in the early 2000s. But the pharmaceutical industry has generally adopted the wisdom that lightning does not strike twice in the same place. A new generation of biotechs is trying to buck this trend. Regeneron Pharmaceuticals (No 10 on the innovation list) has followed up its first hit—which helps prevent blindness—with another that combats severe skin allergies. Incyte Pharmaceuticals (No 6), the maker of one hit cancer drug, appears to be hot on the heels of another. But if we want an example of whether a company can turn a single success into a research powerhouse, there is a perfect test case: Vertex Pharmaceuticals. when jeff leiden became vertex’s chief executive in February 2012, the company was facing financial disaster. Its drug Incivek, for the liver virus hepatitis C, had recently had the most successful commercial launch in the history of the drug industry up to that point, generating $1.6 billion in sales during its first 12 months on the market. But a new, better drug, Gilead Sciences’ Sovaldi, was about to destroy it. Between April and December of 2011, Vertex shares fell 50 percent as the writing on the wall became clear. leiden wants to use the way vertex has done research into cystic fibrosis as a model for the company’s future, discovering or developing a whole bunch of other medicines that fit the same mould. But the striking thing about the company’s CF programme is how much of it happened by accident. Vertex got into cystic fibrosis research in June 2001, when it purchased Aurora Biosciences, a rival, for $592 million in stock. The year before, Aurora had received a $40 million grant from the Cystic Fibrosis Foundation. This support would eventually grow to $195 million, meaning the research was so subsidised it didn’t make sense to stop. By the time costs from the programme started to escalate, results were materialising. Frederick Van Goor, the biologist who has led the CF work for 15 years, remembers speaking last in a series of presentations to the company’s top executives. The chief scientific officer was getting up to catch a plane. Van Goor put up a video of lung cells from a CF patient, miraculously restored in a dish. In CF, the cilia, tiny hairs that move debris out of the lung, are usually immobilised by mucus. In Van Goor’s video, the cilia were moving like grass on a windswept prairie. The chief scientific officer sat back down. 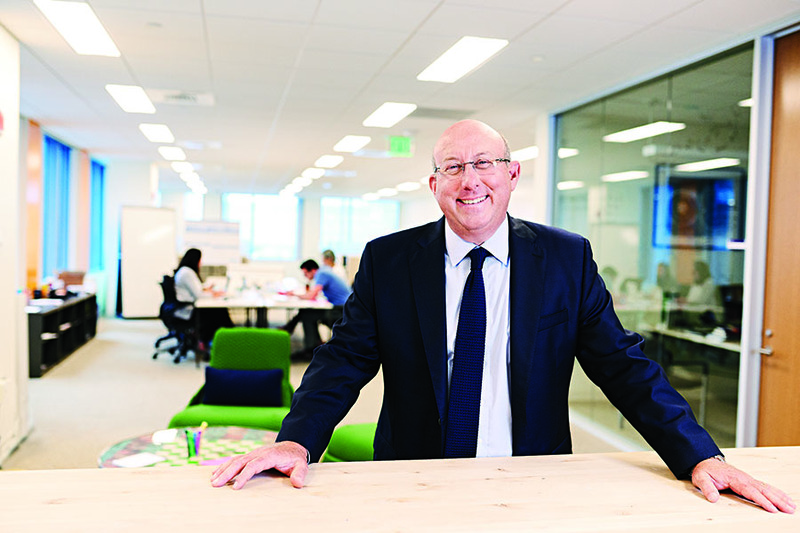 But what’s striking is how isolated Van Goor and his core San Diego-based team—starting at 20 people and growing to more than 80—were from Vertex’s Boston mother ship. That incidental distance helped insulate the researchers from the turmoil back at the headquarters, as the stock gyrated from one year to the next. “We were given the opportunity to pursue the science, despite all the twists and turns that might kill a programme,” says Paul Negulescu, the head of Vertex’s San Diego labs. It took 12 years to get that first molecule, Kalydeco, to market. And then the next result from Van Goor’s lab was a disappointment, albeit a lucrative one. Kalydeco is effective for those whose CF is caused by a specific mutation called G551D. That’s why it works in only 5 percent of CF patients. Cystic fibrosis is caused by genetic mutations that break a protein called an ion channel, which operates on the surface of cells and moves salt and moisture around the body. The broken ion channel results in thick mucus in the lungs, pancreas and intestines, hurting breathing and digestion. With most CF-causing mutations, the ion channels don’t even get to the cell surface. For patients with G551D, the channels are there; they just don’t work. Kalydeco merely needed to turn them on. But to reach other patients, Van Goor’s team needed to develop other drugs that would get sunken ion channels out of the cell so that Kalydeco could work on them. The next effort was for patients who had two copies of another mutation, called f508del. But the results fell far short of Kalydeco’s. In the right patients, Kalydeco increases the forced expiratory volume in one second (FEV1) by 10 percent of a normal person’s lung capacity. For the new combination, called Orkambi, the FEV1 was 3 percent. Here’s where Leiden came in: He had the guts (or gall) to decide to charge almost as much for Orkambi as he did for Kalydeco, and to get insurers and—outside the US—governments to pay for it. Because 40 percent of CF patients qualify for Orkambi, this decision has been lucrative. Last year, Kalydeco generated $703 million in sales. The less effective Orkambi generated $980 million, despite reports that some patients experienced shortness of breath when starting it. That revenue has funded the development of not only a next-generation Orkambi but also three new drugs that work in any CF patient who carries an f508del mutation. That’s 90 percent of CF patients. The effort hasn’t been easy. Vertex had to try out 2,000 different potential drug molecules to find Kalydeco. For the new combo drugs, it tested 30,000 different molecules. Now it just has to choose among three, all of which appear to work. Drug companies often like to talk about how their high drug prices go toward additional research, but it’s usually a vague pronouncement. For Vertex it’s clearly true. but is it sustainable? can vertex use cystic fibrosis as a launchpad to develop its next great drug? Wall Street investment banks are sceptical. Brian Skorney, an analyst at RW Baird, says the company “highlights a lot of debates we have on drug costs”.It has run a $5 billion deficit, haemorrhaging cash for 20-plus years. It’s had potential drugs for organ transplants and HIV, but they flopped. Incivek was a breakthrough that fizzled so fast Skorney doubts the company even made back its investment. “Anything beyond CF has to be ‘show me’,” he says. And these aren’t Vertex critics. These are fans. Both Skorney and Porges were telling investors to buy the stock because of the revenue potential in cystic fibrosis. Skorney made Vertex shares a top pick last year because he noticed how many fund managers were in love with the revenue growth at Celgene, the cancer-drug maker. Over the next few years, new Vertex programmes will deliver the same kind of growth. More than that, Porges says, Vertex seems to have finally cracked a long-festering problem: Selling its expensive drugs in European markets, which are tougher at negotiating prices. Ireland recently agreed to give Vertex a flat, undisclosed annual payment; in return, all patients who need the drug will get access. Porges says other countries outside the US will make similar deals. He predicts that the new CF drugs, including discounts, will cost $164,000 per patient in the US, where a fragmented health care system allows for less tough negotiation, and $133,000 in other countries. With almost all of the 75,000 CF patients in those countries treated, that would be an $8.5 billion market. Vertex, for its part, is confident it can chart a new R&D ­direction. Three years ago, it hired David Altshuler, a prominent Harvard geneticist, to run its research, and it narrowed its focus to diseases that look much like CF. Leiden says the current CF drugs require only 16 sales representatives and that he’ll put 86 percent of the profits into R&D. He checks off an alphabet soup of other rare diseases—such as sickle cell disease, adrenoleukodystrophy, alpha-1 antitrypsin deficiency—that Vertex will target.